DAVID LE/Staff photo. 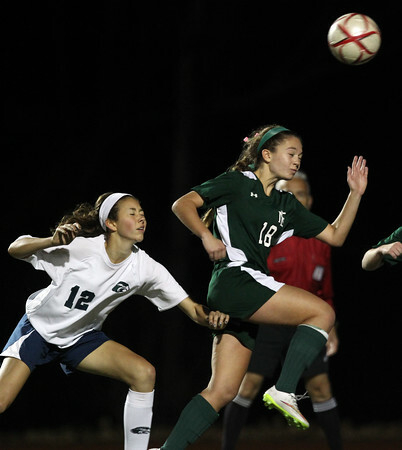 Manchester-Essex sophomore Jade Cromwell (18) leaps ahead of Essex Tech junior Elena Ueland (12) to try and win a header. 11/4/15.